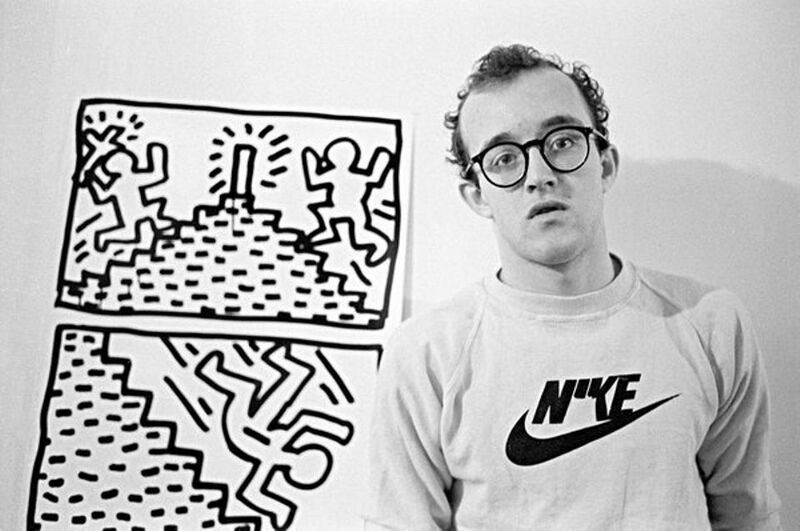 Tate Liverpool will host the first major exhibition in the UK next year of the late US graffiti artist Keith Haring (14 June-10 November 2019) whose cartoonish figures, such as crawling babies and flying saucers, have seeped into the public consciousness. The show will include a work on loan from the artist Kaws, Untitled (1983), which shows “the influence of the media”, says the exhibition co-curator Tamar Hemmes. The piece, which shows a giant caterpillar with a computer for a head, reflects the dawn of MTV and the new video age. “The iconography [of his chalk drawings] also spread through the New York subway system,” she adds. Another key loan comes from Galerie Laurent Strouk in Paris. Untitled (1983), a painted tarpaulin piece, was shown in an exhibition held in 1983 at Robert Fraser Gallery in London. “He would create work from scratch. This work was made in the UK, at the London gallery,” Hemmes says. Co-curator Darren Pih said at a press briefing held today at Heaven nightclub in London that Haring’s work is “ubiquitous in the popular imagination”, adding that “we aim to show a more nuanced and complex side” to the artist. Another key piece is the immersive “black light” installation of 1982 comprising a series of fluorescent works under UV light with a hip-hop accompaniment. Haring’s activist stance will be examined, with works exploring the Aids epidemic of the 1980s, nuclear disarmament, apartheid and the crack cocaine crisis that engulfed New York (his Crack is Wack mural, one of his most famous public art pieces, was unveiled in Harlem River Drive in 1986). “We will consider the social and political commitment of Haring as part of a wider reassessment of his work,” says Helen Legg, the director of Tate Liverpool. Haring died early 1990 of Aids-related complications. • The exhibition tours to Bozar, Centre for Fine Arts Brussels (5 December 2019-19 April 2020) and Museum Folkwang in Essen (22 May-6 September 2020).